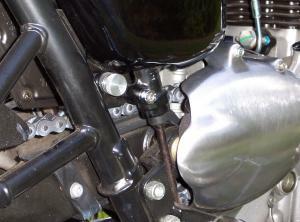 Earn up to 20 NewBonneville Bucks. 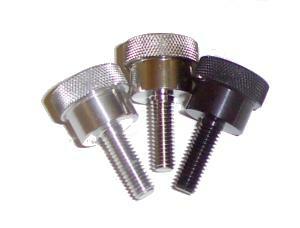 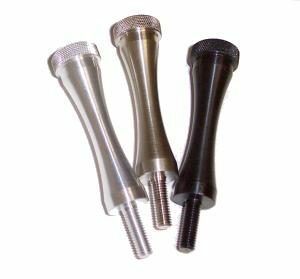 Use these new side cover bolts to provide tool-free removal of the side covers. 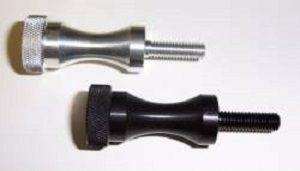 they are diamond knurled with a thumb grip and have a raised shoulder to provide ease of access. 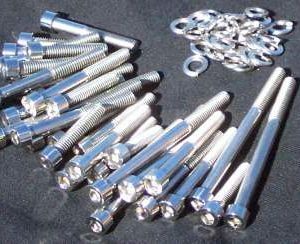 combine these with the extended seat bolts and you’ve got easy access to many of the bonneville’s vital areas. 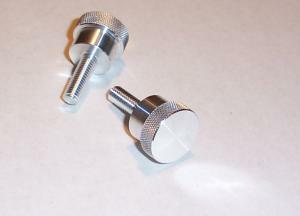 they are available in plain aluminum, nickel plated aluminum and black anodized aluminum and sold in pairs.